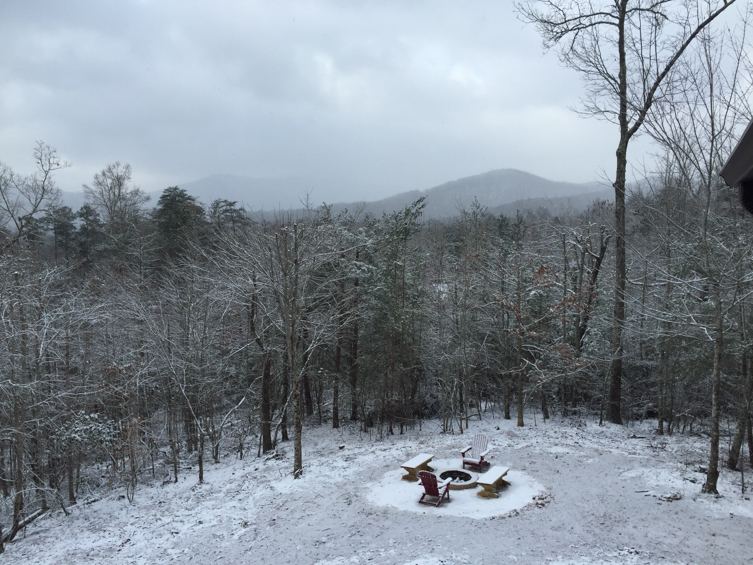 If you're considering a Blue Ridge mountain cabin rental for your next vacation, consider the magnificent vistas and cozy, rustic charm of Bearfoot Bungalow, a mountain oasis where you can relax, recharge and enjoy the fantastic recreation that the Aska Adventure Area has to offer. 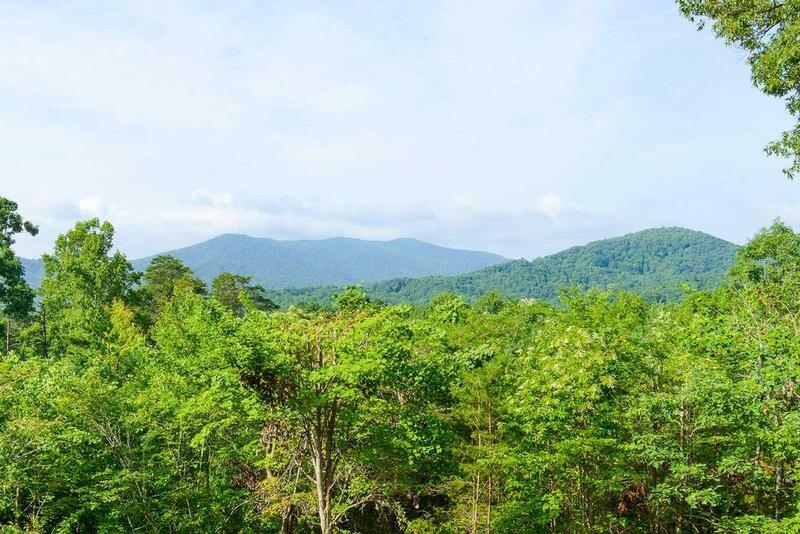 Nestled in the National Forest, it's a hiker and nature lover's paradise, walking distance to Lake Blue Ridge, where you can swim, boat and canoe to your heart's content. River tubing on the Toccoa River is less than ten minutes away. Drive just a bit further and you can go ziplining through the treetops, if you dare! 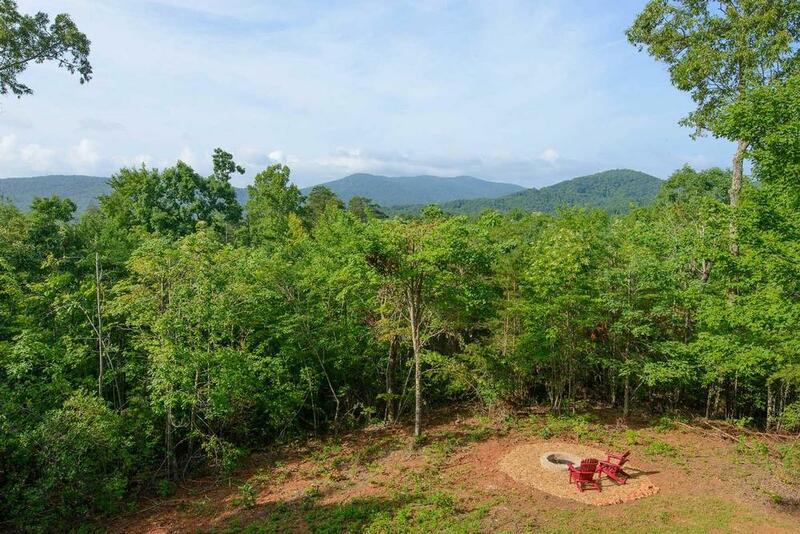 Secluded as it is, Bearfoot Bungalow is only five miles from the shops and restaurants of downtown Blue Ridge, so you can enjoy the best of both worlds. Inside the cabin, you'll find pine ceilings, walls and floors, with bright and airy rooms and windows overlooking the mountains from every angle. Settle into a comfy couch or recliner and kick off your shoes in front of a fire while you watch TV in the family room, or play ping-pong, pool, air hockey, and board games in the game room, which is equipped with DVD and Wii. There are four flat screen TVs in the cabin, each with Dish service and Netflix ability and wireless Internet throughout. Above the open kitchen with its stainless steel appliances and adjacent dining area that seats 10, are the words DREAM RELAX ENJOY, and you'll have no trouble following those instructions from the moment you arrive and let the peaceful atmosphere surround you. Step outside on the wraparound deck and you'll find a stone gas remote-controlled fireplace, rocking chairs and lounges, an A-frame wooden swing, and six-person hot tub, all with breathtaking views of the mountains. You can read a book or gather with friends and family to discuss the events of the day as you take in the mountain air and amazing setting. At dinnertime, just fire up the grill and dine alfresco, or roast marshmallows over the fire pit at the edge of the forest for a special dessert. When it's time to turn in for the night, you'll choose from three comfortable, inviting bedrooms. The upstairs Master, with a king sleigh bed, 40" flat screen TV, private balcony with mountain views, walk-in closet and private bath with custom tiled shower and a stone trimmed Jacuzzi tub, has its own coffee maker so you can have your morning Joe in your pajamas. 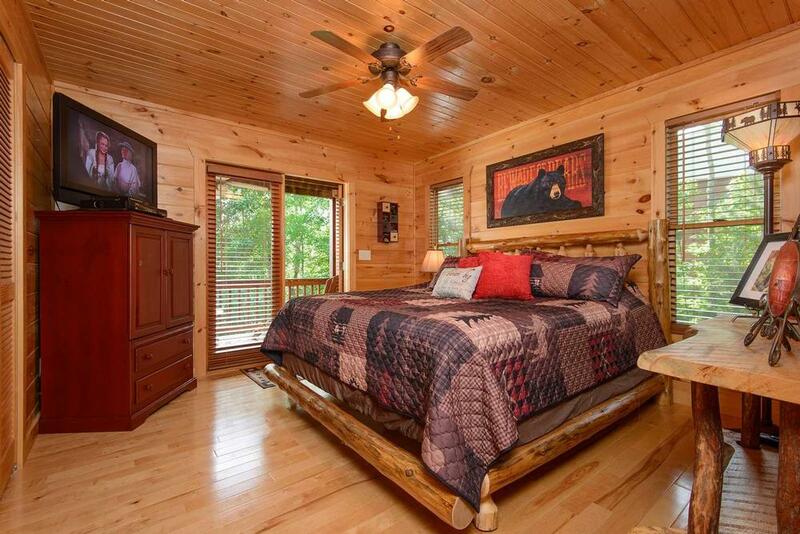 The main level bedroom boasts a king log bed and opens onto the main deck, 40' flat screen TV and its bathroom features bath with shower, hand carved wood vanity, and washer/dryer in the closet. 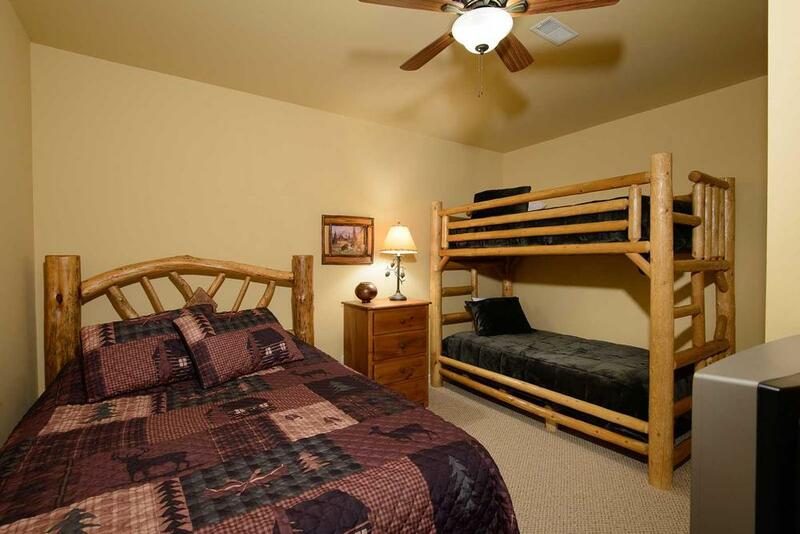 In the basement bedroom, a log queen bed and twin bunk beds make it perfect for kids. The adjacent bathroom has a tub and shower. Whether you're planning a family vacation, a romantic getaway, or a weekend with the guys or the girls, there's something for everyone at Bearfoot Bungalow. 03/19 - Enjoyed the hot tub, the mountain views and the pad on the master bedroom mattress. Professional and friendly staff. 02/19 - We enjoyed the hot tub and the outdoor fireplace. The staff is always friendly. 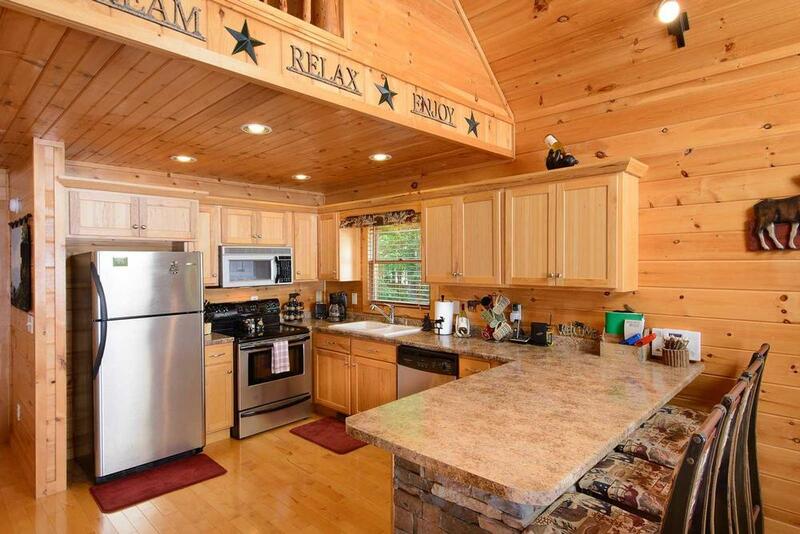 The cabins are always clean. We have stayed in several properties and always have a great experience. 01/19 - Loved the decor and the proximity to town. We love Escape to Blue Ridge! 11/18 - The house is very comfortable and well equipped with high quality utensils, beddings and decoration. The basement offers everything the kids could wish for. Plenty to do outside the house as well. Just perfect! 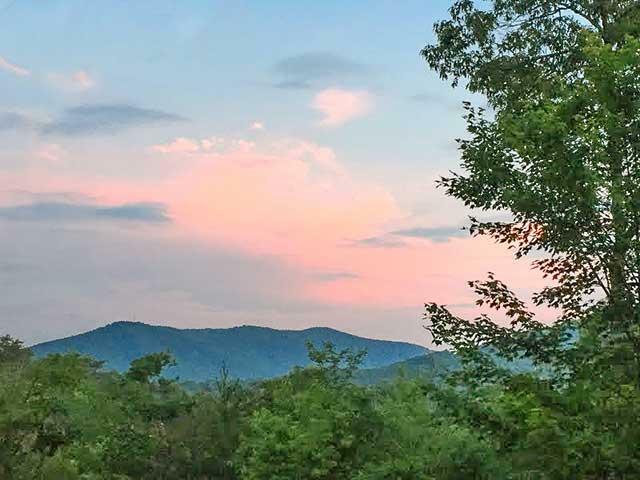 Renting with Escape to Blue Ridge is peace of mind. High quality properties, cleanliness, and very polite and well trained staff. 11/18 - Lovely cabin situated on a beautiful mountain top, but only ten minutes from town, shops, restaurants and outdoor activity areas. Loved it! Great company to work with. Would recommend to friends and family. 11/18 - The home was spacious, clean and had everything we needed for an enjoyable stay. We WILL be back. While you have so many homes to choose from, we loved this one so much we probably will stay in that particular one again. Anyone I talked to was very friendly and professional. 10/18 - Clean, well equipped kitchen, good cookware, effective gas fireplaces, spacious upstairs suite with private porch. Very easy to work with, good communication, directions were good. We enjoyed the fireplace and the jacuzzi. The staff were very nice and friendly. 2/18 - Game room, layout of the cabin, cleanliness and privacy. I only rent properties from your company, no others are comparable. 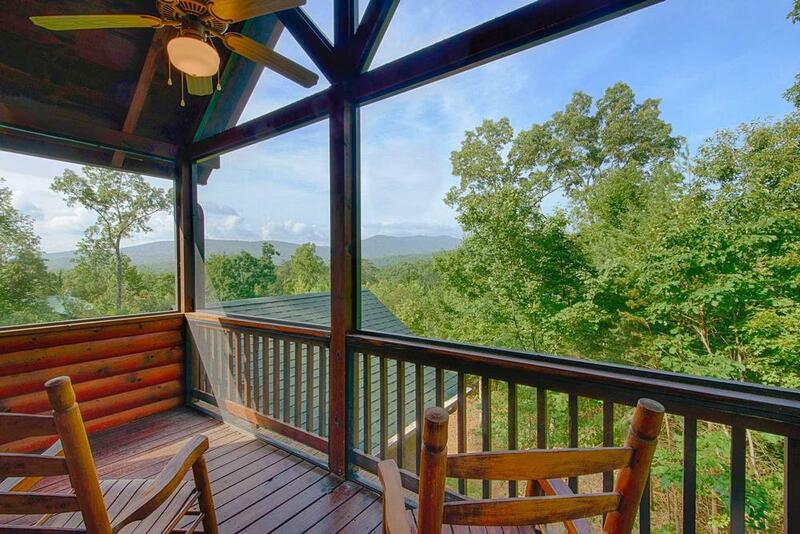 10/17- Beautiful home, loved the tongue and groove walls and ceiling, the wrap around porch and the gorgeous views. 2 king beds, downstairs was much softer than upstairs and was very comfortable. Good company, easy to work with, have good suggestions for what to do while there. 10/17- I enjoyed the location and atmosphere. 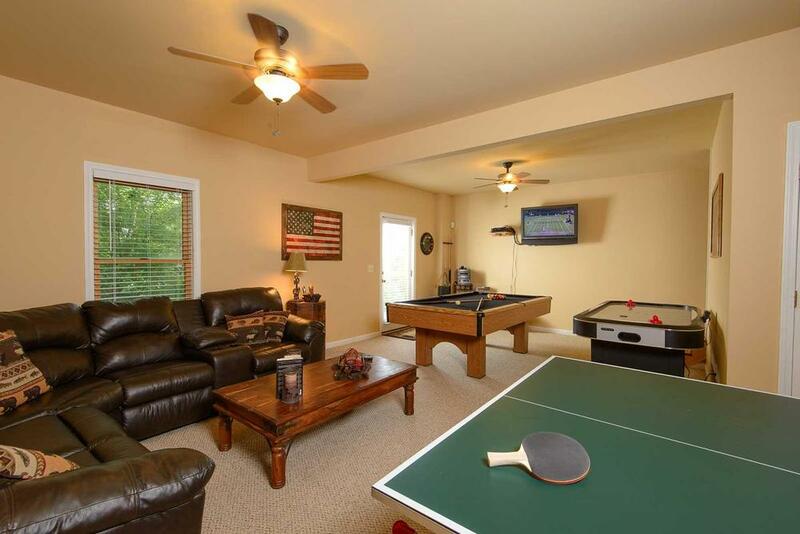 09/17- Love everything about the home but especially the tasteful decor, the back deck, ping pong table. Love the addition of the hammock and the string lights on the deck from when we were there 2 years ago. Also appreciated all the instructions and information provided! Very professional, everything was easy and we were very well taken care of! 08/17- This cabin was very well equipped. In the past we have had to purchase kitchen items to use during our stay, but not with this one. We loved our stay and are planning our next trip already! Highly recommend Escape to Blue Ridge!!!! 07/17- We loved everything about Bearfoot Bungalow! The set up of the deck area is very well done. 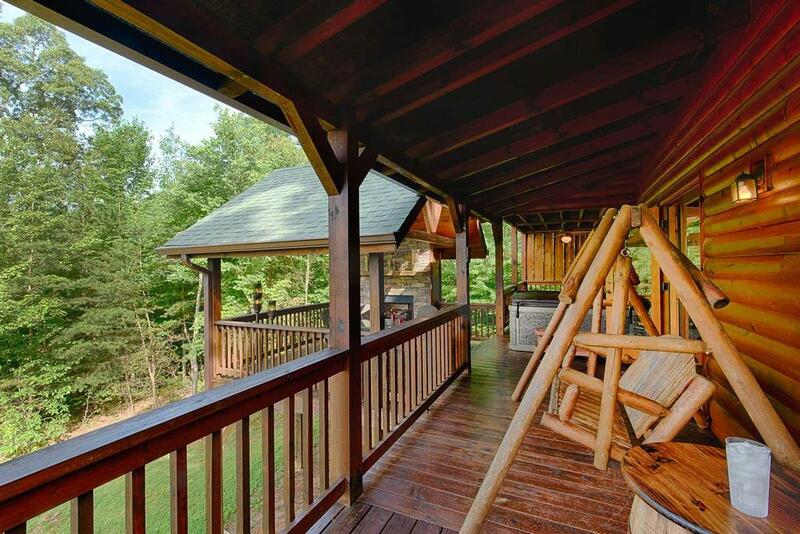 The porch swing, hot tub, fireplace and table and chairs are all in the same area. Our kids had so much fun in the game room. 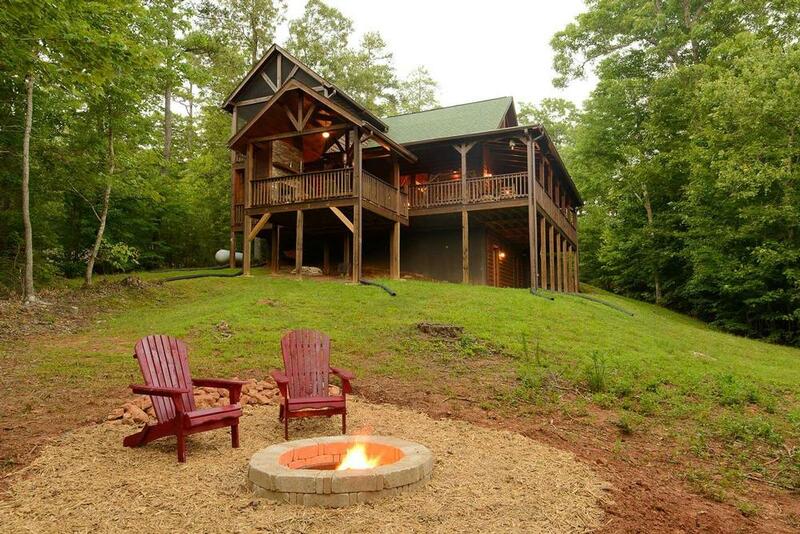 This cabin is convenient to everything; hiking trails, tubing, and downtown are only a 5-10 minute drive. The cabin is very comfortable and we had everything we needed and more. Our expectations were exceeded and we will definitely stay in this cabin again. We had the best family vacation ever! The company was very easy to work with and thought of everything. Very professional! 07/17- The deck and outdoor set up is perfect! Also loved the quiet, dark room downstairs where our kids were able to rest well. Very professional, excellent communication and customer service! 04/17- Love the set up with the fireplace, hot tub and table all right there together. Great staff, always helpful and communicative. 04/17- I really enjoyed my stay. The rooms were very spacious and I loved that there was a television in all the bedrooms. At the end of a long day out I looked forward to relaxing in the Jacuzzi, that was wonderful. Needless to say we were not ready to leave and my husband said we have to come back so we will see you again. You guys are great. Everybody was so nice and very professional, I really enjoyed speaking with everyone. Great company and great people. Thank you so much. 04/17- Our favorite features of the home were the game room, a television in every bedroom and the DVD player in the kids' room. 04/17- We enjoyed everything about this cabin, from relaxing in the hot tub with a fire burning in the outdoor gas fireplace, to the comfy beds. Everything was immaculate and we lacked nothing. Very helpful and professional staff. 02/17- The cabin was very clean and had all basic commodities we could ask for! The group managing was very attentive and friendly. 02/17- Loved the space! We really enjoyed the fact that there were TVs in each bedroom, plus the game room was a great place for the kids to relax! The beds were so comfortable as well! We didn't want to leave! Everything was wonderful! 02/17- This cabin was perfect for our weekend getaway. It was clean, spacious, and had a very well equipped kitchen. 01/17- Our favorite part of the cabin was the fireplace-hot tub combo outside. It was the perfect spot to relax. Then to have lots of fun we went downstairs and played air hockey and ping pong. There's even a radio for CDs so you can really have fun. Such an awesome team! The first night we arrived we called for assistance at 7 pm and were helped immediately with a warm and friendly attitude. We couldn't figure out the fireplace, haha. We were guided through it all!! 01/17- When we arrived the heat and lights were on. It was a warm welcome as it was snowing outside. The cabin was exceptionally clean! We thoroughly enjoyed our stay. The employee was extremely nice and helpful on the phone. 12/16- We enjoyed everything about the cabin. The view was spectacular! The staff were very helpful and professional at all times. 12/16- It was absolutely beautiful! We have the cabin saved for a possible vacation for next year. It had a lot of amenities, and we LOVED the hot tub! Perfect place to get away and relax. The company is very professional. 11/16- Absolutely everything was excellent, couldn't be better, the cabin was amazing, wonderful stay. Great company, very helpful every time I called for something. 10/16- Great location, very peaceful, very clean and well maintained. Location to all downtown blue ridge and Aska area attractions couldn't be better. Awesome!! 09/16- The layout of the house was very nice. By having a bedroom and bath on each floor, the house affords privacy to each guest. The beds were very comfortable. Also, the game room in the basement was nice for the guys to play pool. Everyone I spoke to was very attentive and helpful. 05/16- The cabin was beautiful, both inside and out. We loved eating outside on the porch near the fireplace. The kitchen was fully equipped and had everything we needed. The cabin was clean and the bear decor was adorable. Excellent views and overall an unforgettable experience. Thank you! Superb service. 04/16- loved the set up outside around the hot tub. 04/16- Very well maintained. Lots of things to do even in bad weather. Beds were very comfortable. Couldn't have been nicer. 04/16- Layout and privacy are very nice..
03/16- The cabin was very nice, it had every thing you needed. We enjoyed our stay. 03/16- We have stayed in many mountain cabins, but this one is the best! It was very clean, equipped with everything we could possibly have needed, had a beautiful view, and overall excellent! 03/16- The location can\'t be beat. The home is beautifully decorated, and you can tell the owners have kept the property well-maintained. It\'s also a perfect layout for families with adults and children. They really have something for everyone at this cabin. Lastly, I appreciated that the tree tops had been cut to avoid view obstruction. 02/16- We loved the outdoor fireplace and deck. Living room furniture was very comfortable. The company is always very friendly and accommodating! 02/16- Plenty of property around home. Loved the fire pit. Gas fire places were awesome. Bedroom layout was great. Customer satisfaction comes first, as employees are very helpful and attentive to the customer's needs. 01/16- The basement game room provided us is hours of entertainment during the cold rainy days. Loved the outdoor deck and the fire pit outside was a real treat. The layout is also really well done. 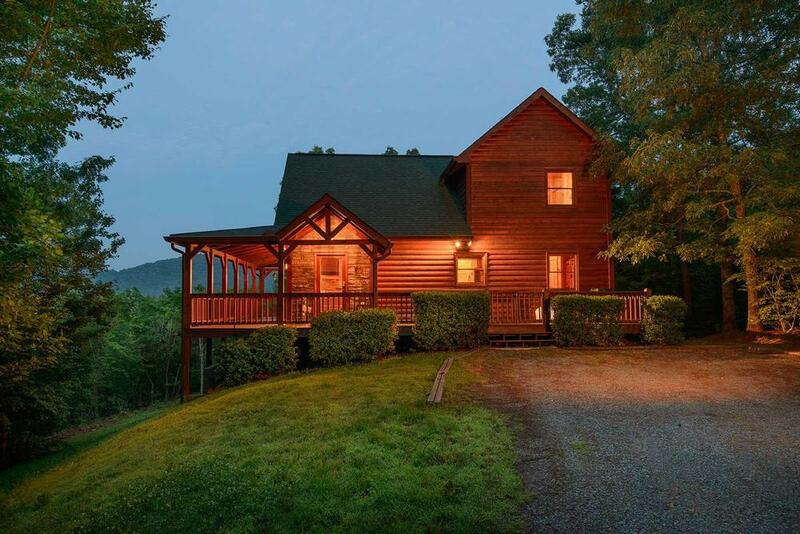 This is my fourth or fifth time renting from Escape to Blue Ridge. I wouldn't even dream of using anybody else. 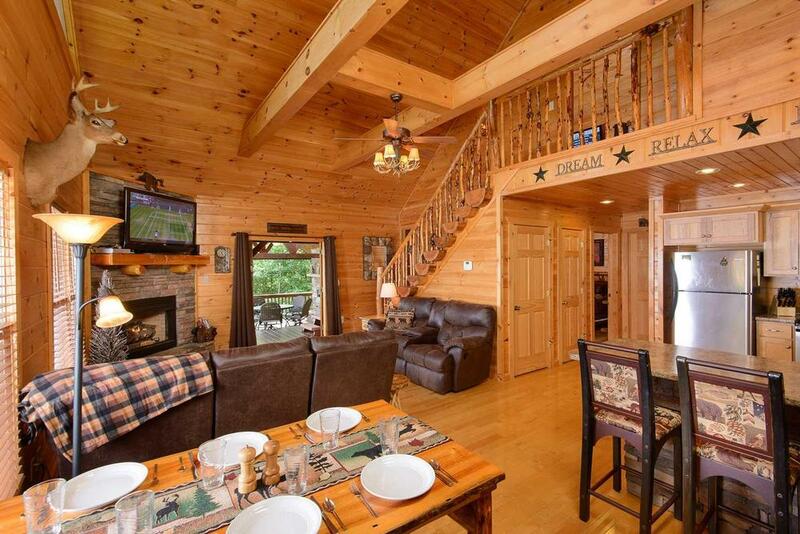 The cabins are always exactly as shown in the pictures and the staff couldn't be friendlier. 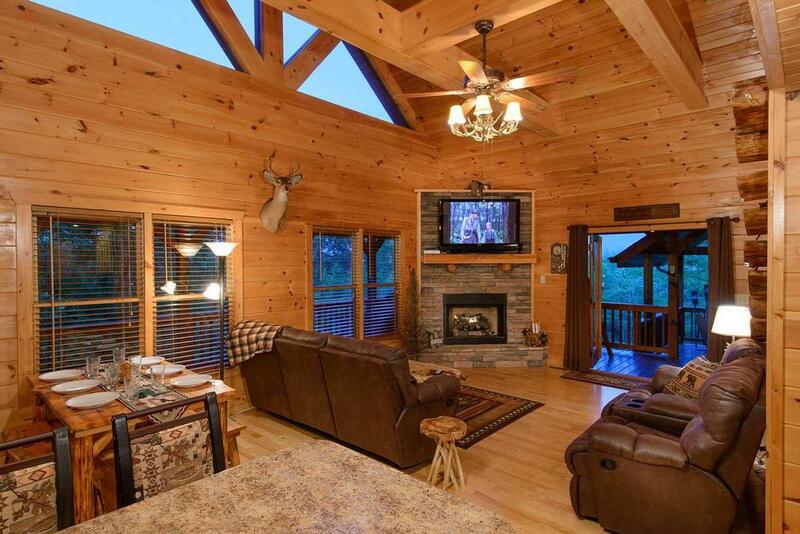 12/15- Wonderful cabin TV's in all rooms/fully stocked game room/the fire places/the porch setup was outstanding/the cabin location/the view...I could go on and on! Customer service was outstanding, and never any long waits when calling. 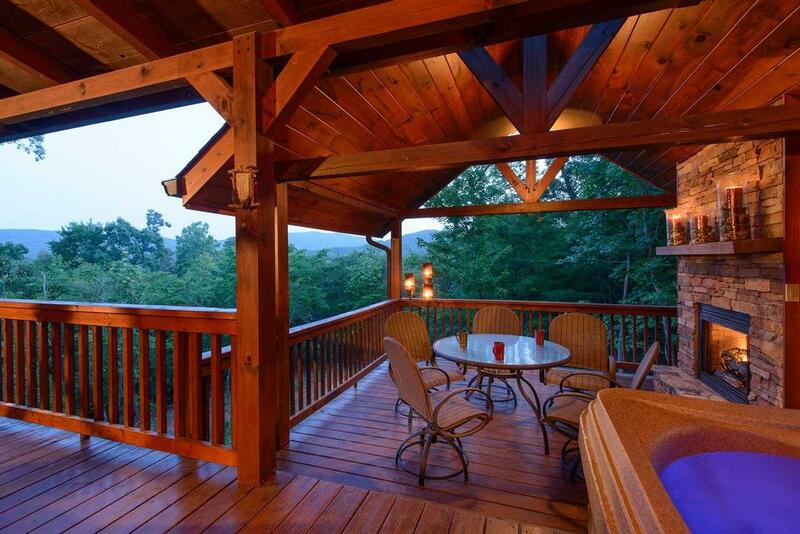 10/15- There is nothing left out in this exquisite mountain retreat. Beautifully done and well thought out furnishings. 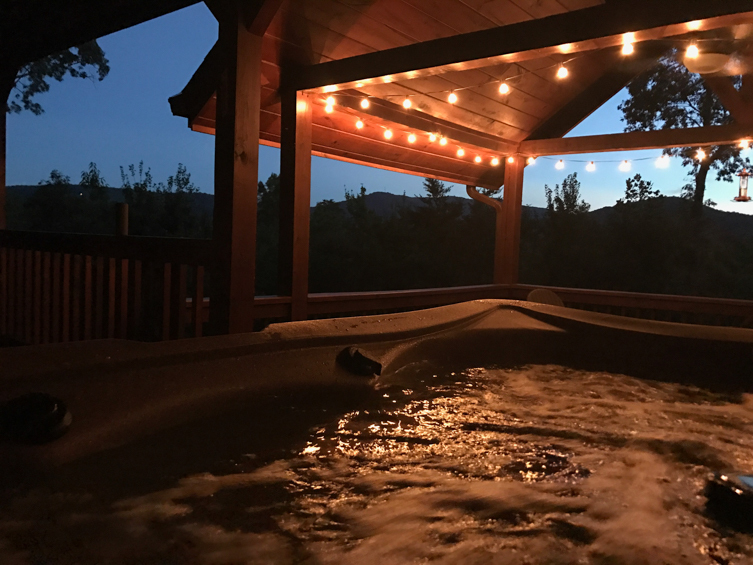 Our family was comfortably entertained in this home , upstairs in the fully equipped kitchen, downstairs with the multiple game options and outside with hot tub and seating, fireplace and incredible views. Escape to Blue Ridge is one of the few companies left who strives for exceptional customer service and succeeds. 10/15- Great house. Love the fireplace on the deck! Also the woodlands decor was perfect for the style of the house. This is our 5th year of using Escape to BlueRidge. Love trying the different homes. Always been easy to work with. 09/15- This cabin was equipped with EVERYTHING you could need! We loved the location, the decor, the game tables, especially ping pong, and everything was so well organized neat, and clean. I love that the owner used a label maker to label the light switches and areas that needed instructions and provided instruction manuals for the electronics. There was plenty of storage for our belongings. The location is secluded and peaceful and not far from town We did not want to leave! By far the best vacation home we have EVER stayed in!! Best rental company I have ever used! From the time I made the reservation to the day we left you kept in touch by email, explained everything we needed to know, and gave us helpful information for a great vacation. Your customer service is unmatched! 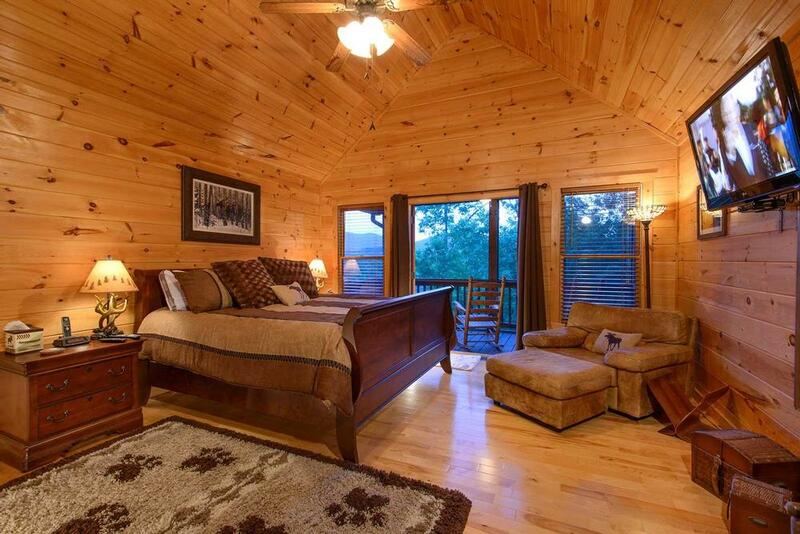 Love everything about the cabin. This is my third trip to Bearfoot Bungalow and every trip is better than the last. 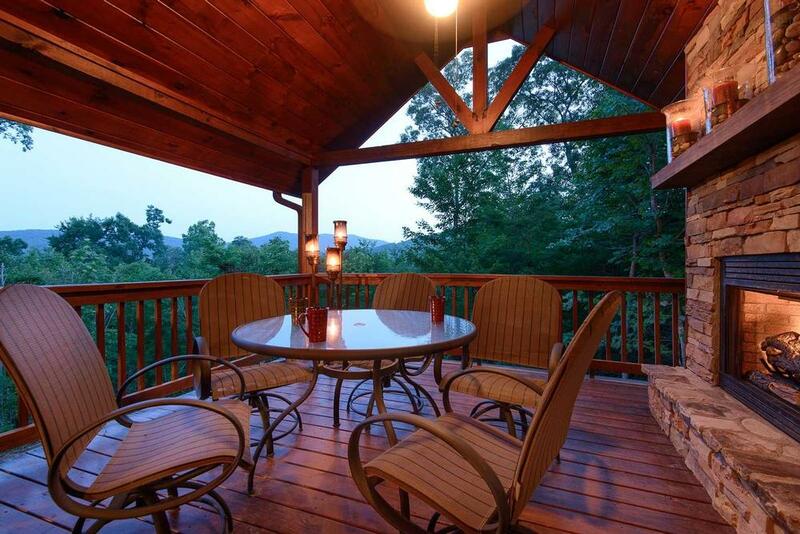 Location is very convenient to Aska Trails and downtown Blue Ridge. Great fire pit and beautiful deck with hot tub and fireplace. 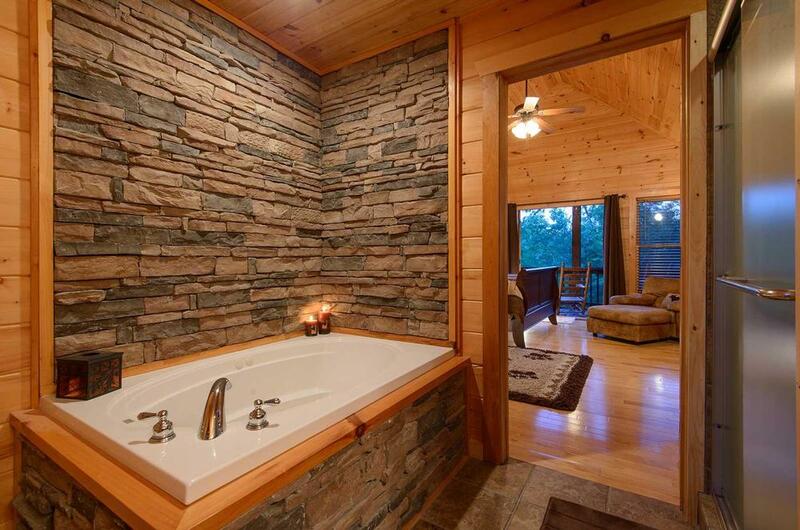 Love, love, love this cabin! Property managers and housekeepers are great! They do a fantastic job.